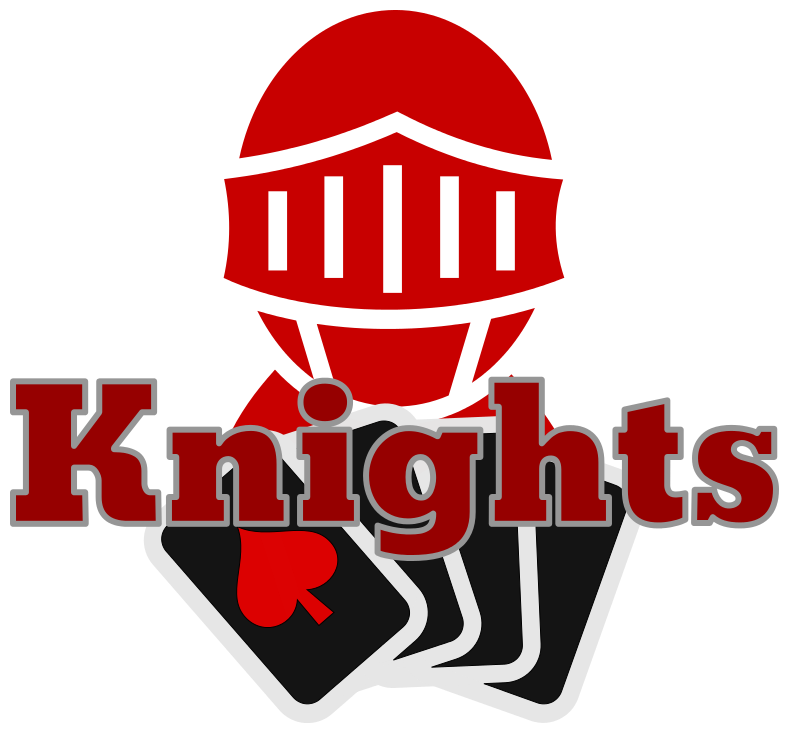 Knights is a battle card game for two players that uses a standard playing card deck with 54 cards. 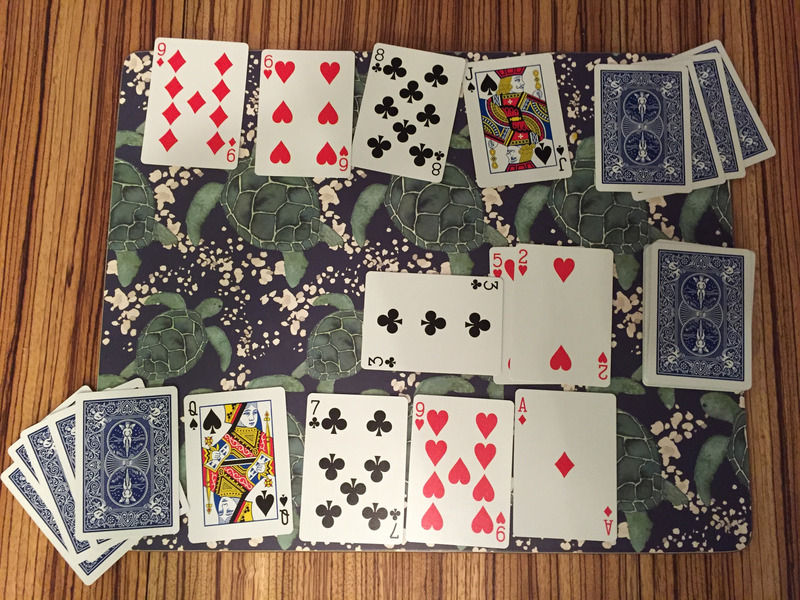 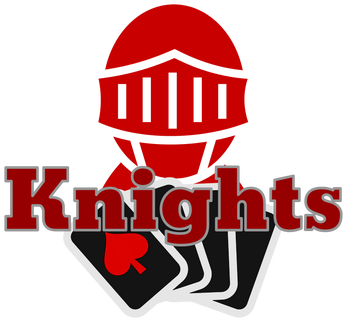 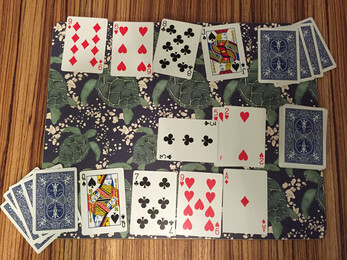 Each player builds a "knight" using the values and suits of the cards and does battle with the other player by pitting sets of cards against their opponent. 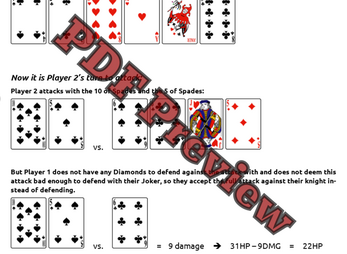 The first player to reduce their opponent's knight's Hit Points to 0 is the winner. 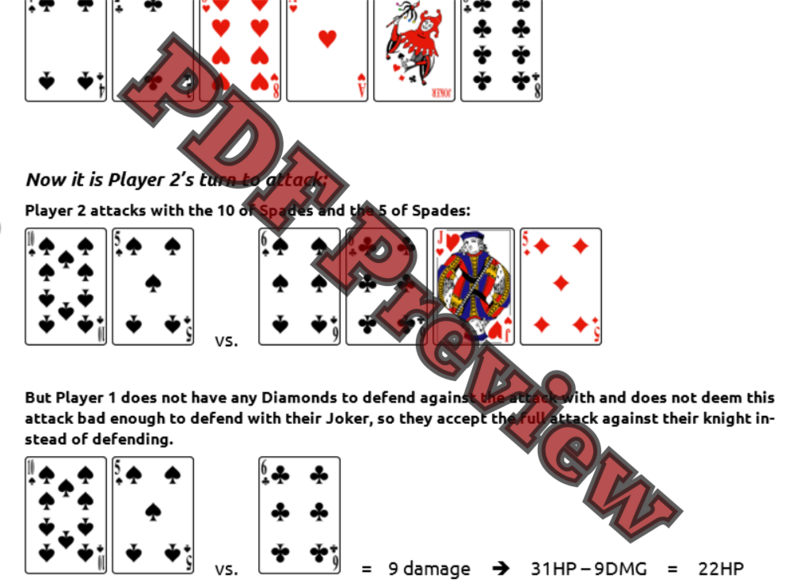 This game was originally created during the My First Game Jam jam, and you can find all previous versions of the rules on the jam submission page plus see the notes that go with them on the jam community devlog.